Leave your message below for RPCVs who served in Peru. Hi my name is Mark Tierney, I'm an RPCV from Korea in the 70s I have been asked to assist a group out of Minneapolis that is conducting a medical mission in Lima (mostly surgery work) to find out what I can about a shantytown in Lima called Flored de Villes (sp). We have supplies and doctors/dentists who will be available for a week in February to assist residence. ... Does anyone out there know anything about this place. 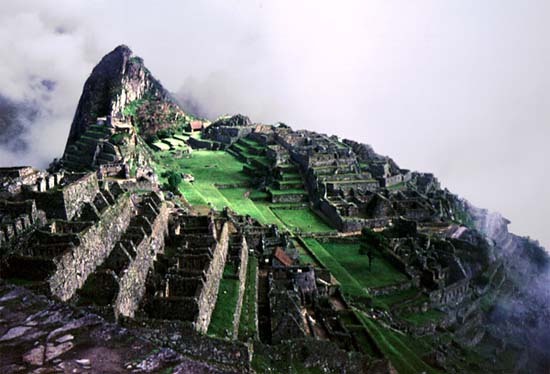 I would like to travel from cuzco to puno. Is train the best way? Does anyone know the cost? We received your package two days ago just as we were ready to leave Cajamarca. We were happy to get our long-awaited mail from home as well as all the Peace Corps memos. We hope to be back in Lima in time for Christmas. We are really looking forward to the strawberry sundaes, indoor toilets, and running water. Needless to say we will be able to tell you about many humorous experiences including a six hour mule ride. We have traveled to the four corners of the province and have acquainted ourselves with the dozen or so credit unions in this area. Not only have we audited and revised books in these coops, but we have given speeches, received requests for materials, and extended help from the Peruvian National Federation. We have feasted on such Sierra specialties as rice and beans, beans and rice, peas and rice, peas and beans, sometimes the latter with rice. On rare occasions we have had the opportunity to sample such delicacies as fried guinea pig, breaded tongue, and the famed fried monkey. Hello - I am a RPCV who served in Ukraine - and am looking for someone (ideally a RPCV) who may be able to provide some linguistic assistance next week as the US Coast Guard meets with the Peruvian Coast Guard for a training activity focused on international law. If you know anyone in country that may be able to translate as needed February 19-21 it would be most appreciated. Thank you.